You and your child can design your custom IC Pro™ Tattoo. 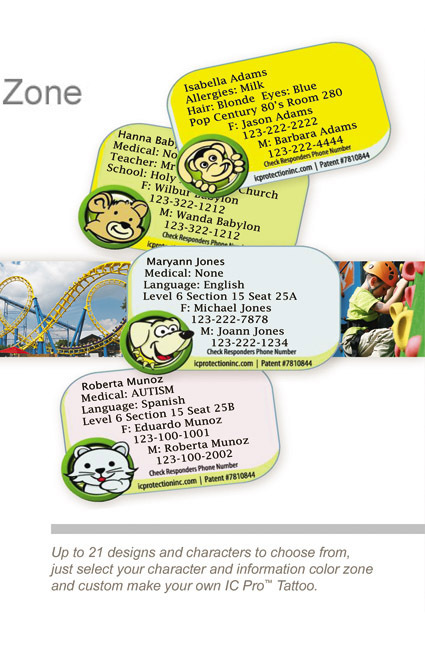 Getting your child involved will be helpful in the educational process of how important safety is. IC Pro™ Tattoos vary with skin tone, so the colors that are available work on all skin tones. 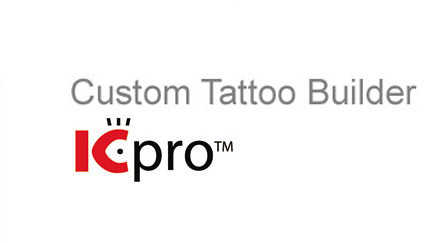 Click the Add to Cart button at the bottom of the page when you’re finished building your Custom IC Pro™ Tattoos. Actual size of all IC Pro™ Tattoos are 2-1/4" x 1-1/4"
IC Pro™ Tattoos are sold in sets of 7 with a total of 21 tattoos per order. You can choose any combination of information zone color and character per set of 7 tattoos.